I’ve mentioned before that I grew up in Columbia City, a tiny crossroads in south-central Columbia County. I was actually born in the town of Lake City (the county seat of Columbia County) and had a Lake City mailing address for the first eighteen years of my life. Columbia City was (and still is) just a crossroads with a flashing light and a convenience store or two. If my family wanted to buy pretty much anything, that involved driving twenty or so minutes into Lake City. I’m now in my late thirties (shhhh!) and I’ve lived away from Columbia County longer than I lived in it. Still, I’m old enough – and I lived there long enough – to (vaguely) remember downtown Lake City as the center of commerce for the community. 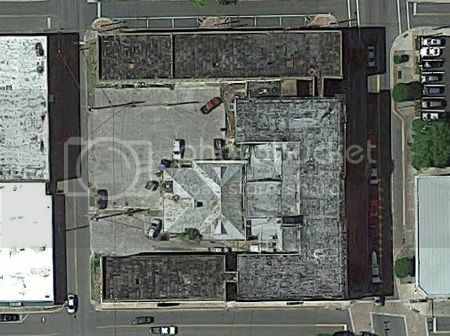 I remember being a little kid, going downtown with my parents to shop at McCrory’s, Rowands, and JC Penney. I’m also old enough to remember one of old buildings burning down, JC Penney relocating out to the brand new mall in what would later become ‘the strip’ several miles from downtown, and the final death knell for commerce in downtown: the opening of the Lake City Walmart (also on the strip). Downtown wasn’t really a place one went anymore after that. A few businesses hung on through the years, gradually closing their doors as owners retired, moved locations, or simply couldn’t make a profit. While a handful of the old businesses do remain to this day, downtown Lake City is nothing like it was when I was a small child. 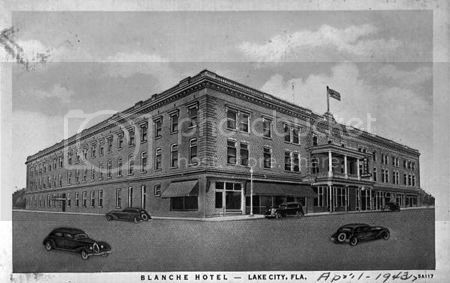 However, while I am old enough to remember, however vaguely, an active commercial district in downtown Lake City, what I am not old enough to remember is an open Hotel Blanche, as it ceased operation in 1967, quite a few years before I was born. 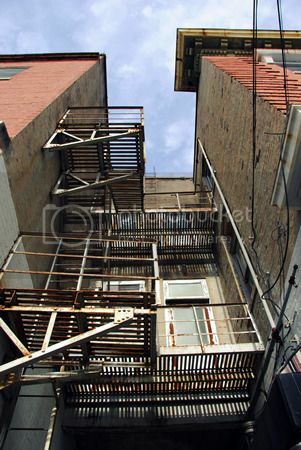 The original part of the Blanche was built in 1902 by architect Frank Milburn and builder Henry Otis. 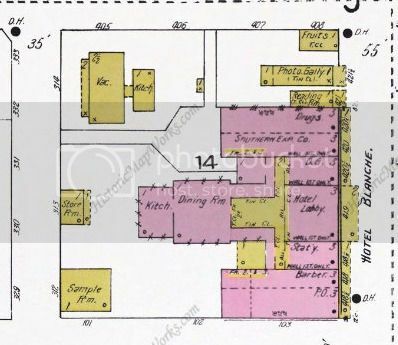 It was expanded to include a north and a south wing in the mid-1920s, in order to accommodate demand. Located at the northern end of the state, and centered along both railroad lines and the burgeoning highway 441 – one of the major north-south highways prior to the construction of the Interstates – Lake City earned its nickname ‘the gateway to Florida,’ and the Blanche was where the wealthy stayed when they arrived in the state, hosting notable visitors from Al Capone to Johnny Cash over the years. With train travel replaced by private cars and the construction of I-75 (which bypassed the Blanche by several miles), demand for rooms at the Blanche declined; it ceased operating as a hotel by 1967. 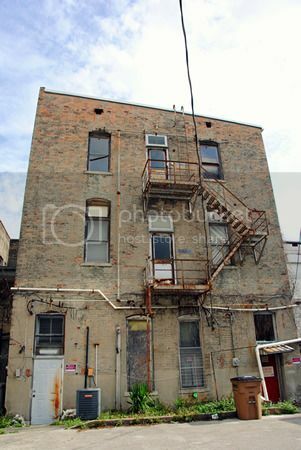 My memories of the Blanche are of it being an increasingly dilapidated structure at the heart of downtown, often home to various businesses on the ground floor, but never anything particularly permanent. 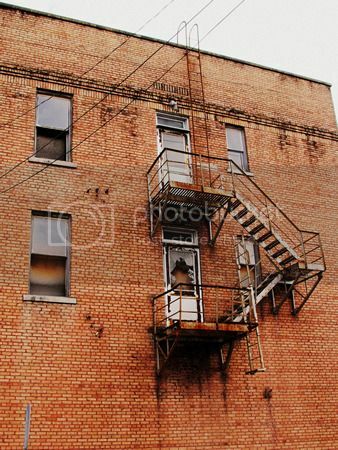 There was a thrift store we used to go to on the ground floor for a while – I always liked trying to imagine it as part of the old hotel – but other than that, I don’t think I’ve ever been inside any of the hotel. 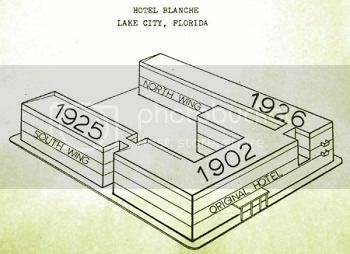 Despite this fact, the slowly disintegrating Hotel Blanche has always been the centerpiece of downtown Lake City in my mind. The colorful posters in the shop windows have been placed in all the empty storefronts to mitigate the feelings of emptiness and desolation. 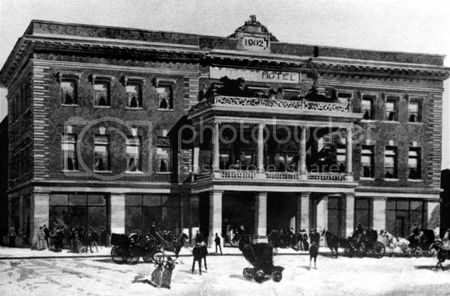 The center of the original hotel structure, external balconies long since removed. Center rear. The central structure comprised the dining room (front) and the kitchen (rear). 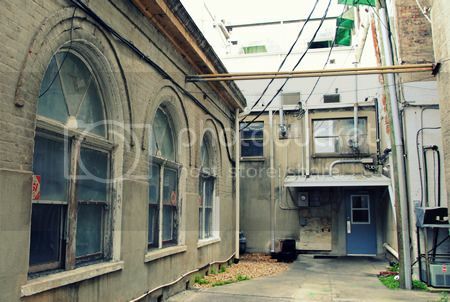 Rear of the northern part of the original 1902 structure. The base of the kitchen's chimney. 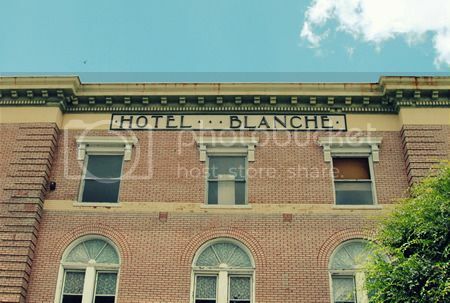 It turns out that there’s a chance the old Hotel Blanche might not remain a Desolation Florida landmark. 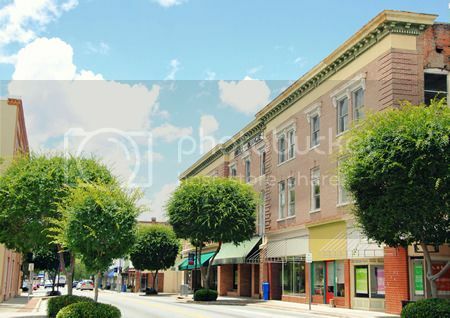 Now, numerous plans for revitalizing downtown Lake City have been proposed, debated, and even approved over the years – although many such plans never amounted to more than just talk. While many of the old storefronts in historic downtown Lake City are now home to local businesses, just as many (maybe more) currently sit empty. 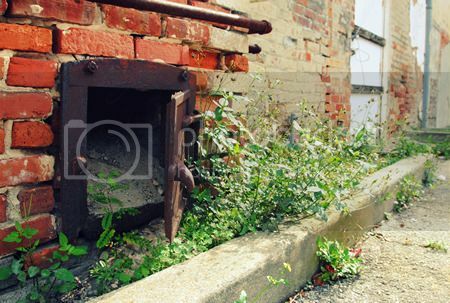 Downtown has not been revitalized. 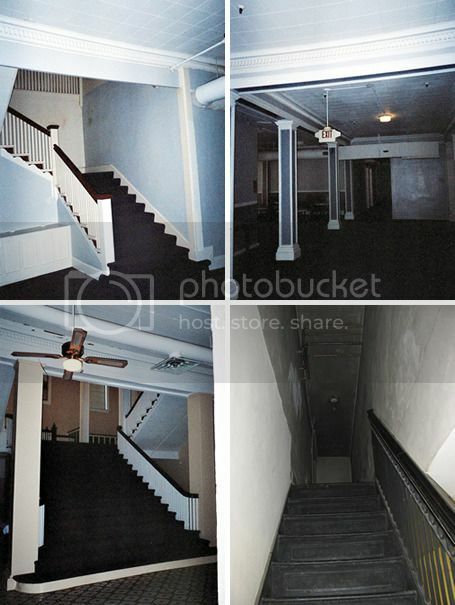 However, this past fall, plans to spend $14 million to refurbish the Hotel Blanche were approved by local government. You can read about this here and here. As you might imagine, the idea of spending $14 million of taxpayer’s dollars is rather controversial. Allegedly, construction will begin this coming March, although to be honest, I’ll believe it when I see it. This is a wonderful post, thank you. 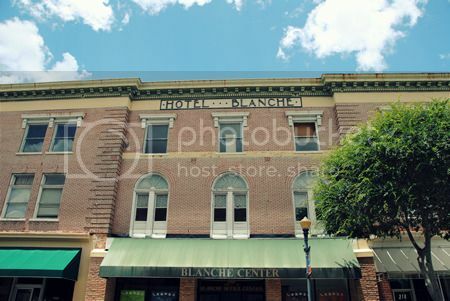 I was looking up the Blanche hotel, and came across your blog. Love the pictures, very well writen.